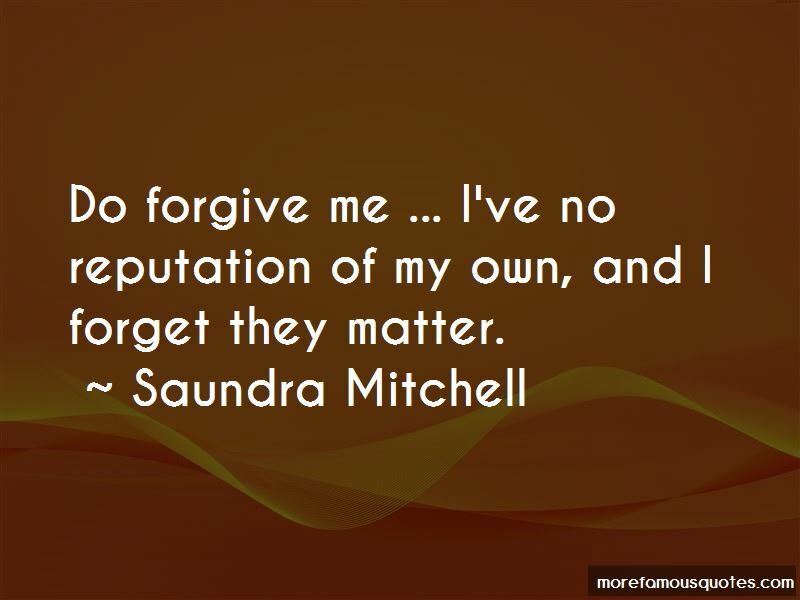 Enjoy the top 17 famous quotes, sayings and quotations by Saundra Mitchell. “Laughter rose from the clatter of china and silver, and I felt so very close to Zoras circle but not quite in it. It wasnt Zoras fault, because she addressed me often and encouraged her cousins to speak to me - once or twice with kicks beneath the table. “The stars could have burned out around us, the moon could have fallen from the sky, and I wouldn't have known it. Not when he leaned indecently close and pressed his cheek against mine to murmur, "Tell me a secret." Instead ... I whispered back, "I've seen the future." He didn't laugh. He didn't mock, not like he had done at Privalovna's performance. In the middle of our waltz, he stopped, nose to nose with me. He uncovered me with a look that somehow bared him, too. And his question told me everything - that he stopped time because he needed me, that he read my mind because we were one. That I troubled his nights, indeed, because what he asked revealed it all. No.First tell me that you love me, as you've no one else. Laughter rose from the clatter of china and silver, and I felt so very close to Zora's circle but not quite in it. It wasn't Zora's fault, because she addressed me often and encouraged her cousins to speak to me - once or twice with kicks beneath the table. But she couldn't know that the light on her circle paled to the light in mine. Even though I looked at the cousins, admiring their smiles and pretty laughter, I found myself drawn back to Nathaniel Witherspoon. And each time I caught him looking at me. At my mouth. I know I'm supposed to be a good girl. I know I'm supposed to be happy doing needlework samplers and baking potatoes in coal and whatnot. But Lord, I love running from the law. I've written that kind of thing before. The other was a cross-dressing, bank-robbing teen bandit on the run. I've never written that kind of thing before. How to choose? How to choose? As Mae West once said, I went with the evil I'd never tried before. “The way I saw it, that was the real mistake the Barrow gang had made. Want to see more pictures of Saundra Mitchell quotes? 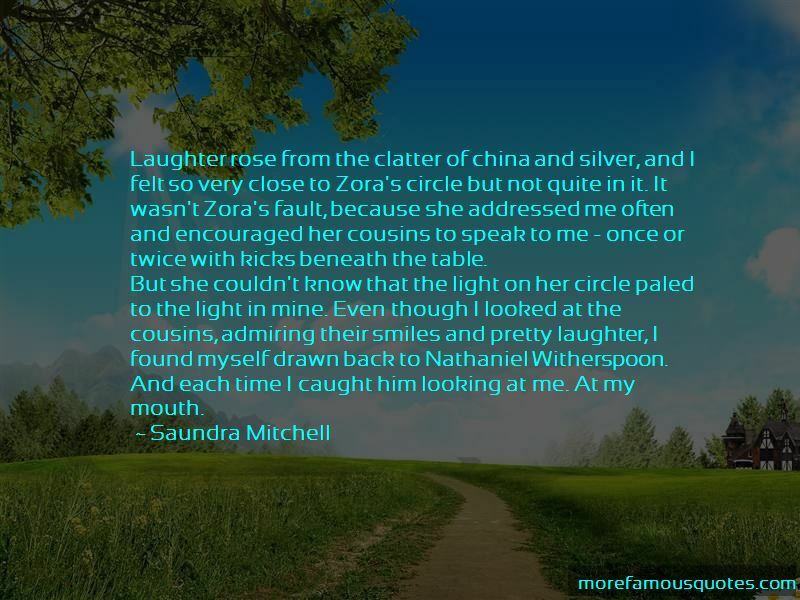 Click on image of Saundra Mitchell quotes to view full size.